Need to know what's happening in the Tennessee state legislature daily? Let Tennessee Legislation Service do the work for you. Need the current status of Tennessee bills in legislation — but don't have time to sift through General Assembly bills and calendars? Let Tennessee Legislation Service do the work for you. Cover that impossibly high mountain of legislative information quickly, in a way that fits the way you work. From the TLS early warning service that keeps you ahead of the General Assembly's decision-making process to the easy-to-use TLS reporting capability — Tennessee Legislation Service provides the tools to track legislation quickly and effectively. With our bill status tracking services, you'll have time to act before a bill becomes a law! Access critical Tennessee legislative information on a Tablet, Laptop or Smartphone — how you need it, when you need it. To try TLS, or to schedule a demo, click Learn More above to submit the online form. Or contact Rhonda Rankin at 615-661-0249 Ext. 8081. Act more effectively and monitor legislation affecting clients, association members or constituents. Put Tennessee Legislation Service to work for you. To track and act on pending Tennessee bills in legislation, without hiring a staff, running from committee to committee, or trying to be in two places at once, there’s only one solution... Tennessee Legislation Service. For over 30 years, we've been the #1 source for up-to-the-minute, accurate, comprehensive information on what Capitol Hill is doing and how it affects specific constituencies. It saves money, time, frustration and headaches. Fast answers, whenever, wherever with TLS’s best-in-class web-enabled delivery technology for iPad, mobile device, laptop and desktop. Tennessee Legislation Service delivers the insider intelligence you need when you need it on the platform you use the most. Each morning, you get a summary of new bills and amendments arranged by subject and tracking all activity from the previous day. And your Weekly Comprehensive Memo summarizes current-status information about every bill, categorized by subject for quick access. Your Weekly Calendar lists all Senate and House floor sessions, committees, and subcommittees, along with summaries of each bill on the calendar, its status in the other chamber, and how it’s been amended. With more staff members than any other press organization on the Hill, we’re eager to answer your questions in person, by email or by phone, in and out of session. Our team has over 30 years of collective experience in the legislature and can update you on the latest action on any bill, the latest meeting schedule changes, and more. Always immediately responsive, accurate, and committed to helping you meet your objectives. With just a few clicks, you can create custom client reports that summarize the status and fate of critical legislation. Then add your own position statements and analysis of each bill. Create personalized status reports for each client or each client department, automatically updated either daily or weekly. 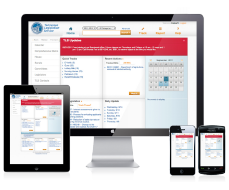 The TLS website allows you and your colleagues to create bill tracking lists for one another, share commentary on legislation and collaborate on addressing the bill. You can also assign priority and positions on bills. The website stores your work and saves it for the next person in your organization, cutting down on paper costs and time. You can also print your priorities, positions, tasks and additional commentary on legislation with your calendars or bill status reports.